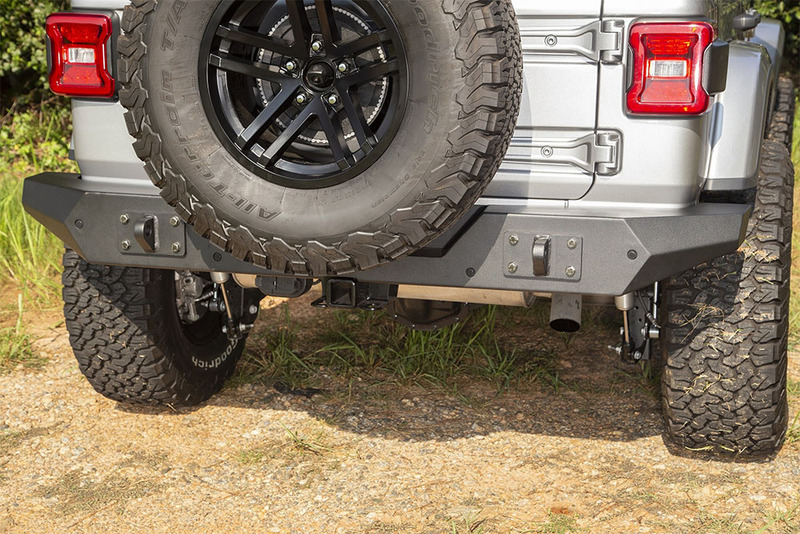 Jeep JL Wrangler Rear Bumper by Rugged Ridge. 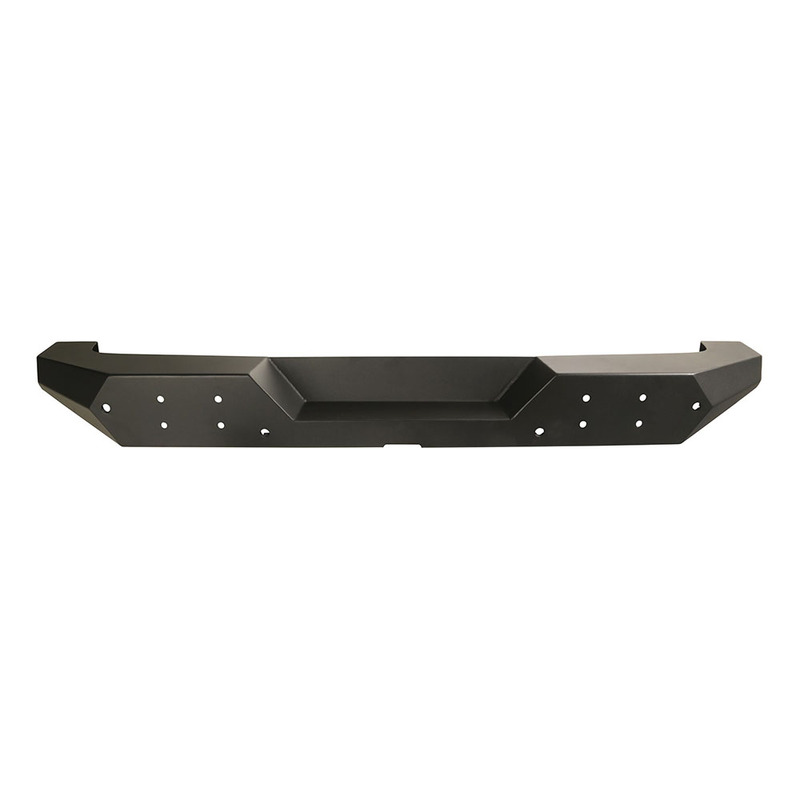 The Spartan Rear Bumpers one-piece design features a full-width profile and sturdy all-steel construction with welded ends making it a solid choice for any Jeep, from avid off-roader to daily-driven mall cruiser and anything in between. Jeep JL Wrangler Rear bumper center section features a recess that provides additional clearance for larger wheel & tire combinations. 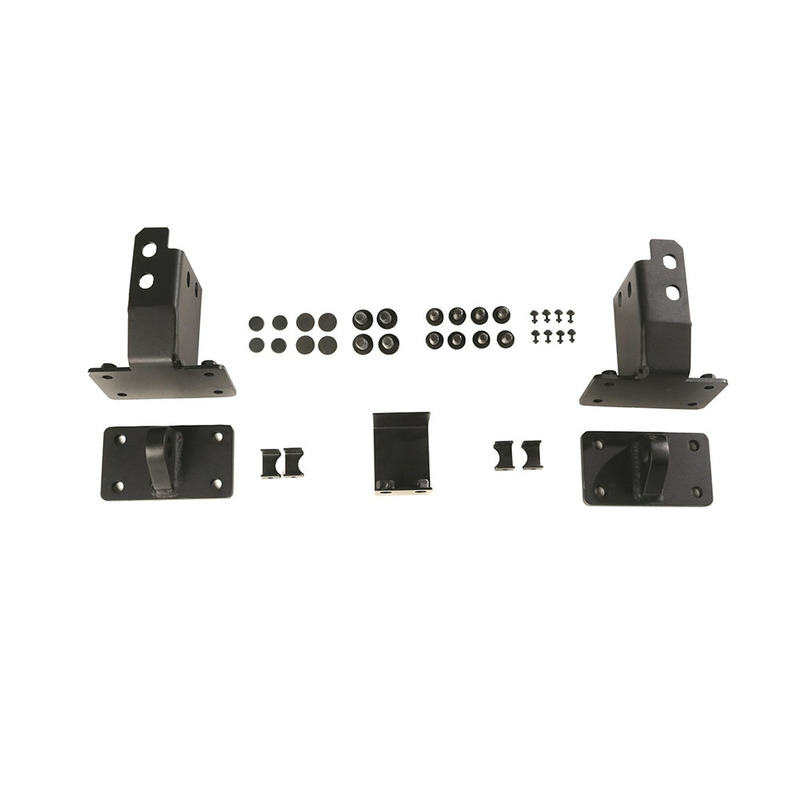 Spartan Series Rear Bumper includes integrated shackle plates that anchor to the frame for solid vehicle recovery and all the necessary hardware for installation (D-shackles not included). 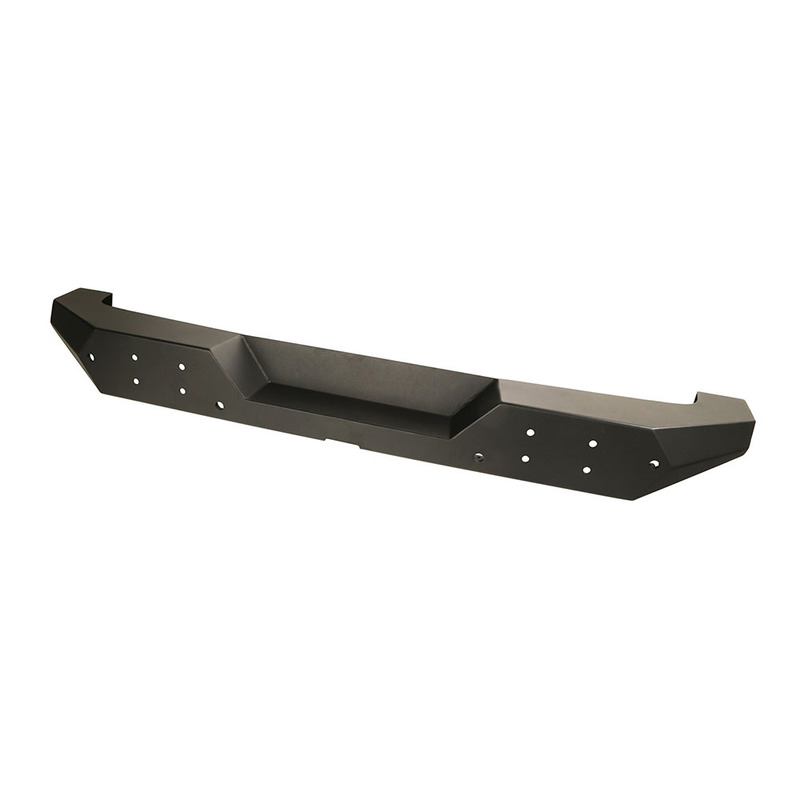 The Rugged Ridge Spartan Rear Bumper is a direct bolt-on replacement for 2018-19 Jeep Wrangler JL / JLU models and works with all factory equipment including factory tow hitch. Backed by Rugged Ridge industry-leading 5-year limited warranty, making it the best built, budget-minded rear bumper on the market today.